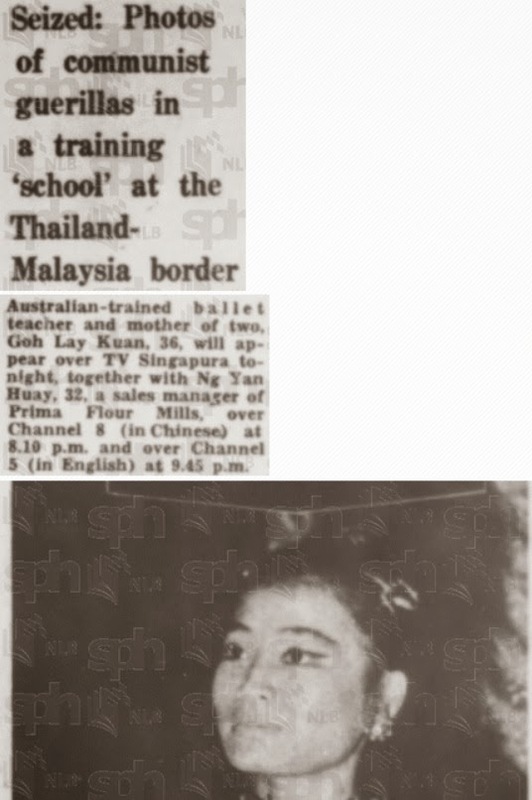 Browsing the Straits Times forum section yesterday, I was surprised to see a letter talking about Goh Lay Kuan and her arrest under the ISA in 1976, written by Lionel De Souza. Mr De Souza, a former policeman, is apparently someone close to the establishment; and one does wonder why the sudden need to bring up the fact that Goh, who is also wife of Kuo Pao Kun, joined a splinter group of the CPM and visited a communist training camp in 1975. It was only with careful reading of the recent ST interview of Goh Lay Kuan that one can conjecture the deeper meaning behind the letter. 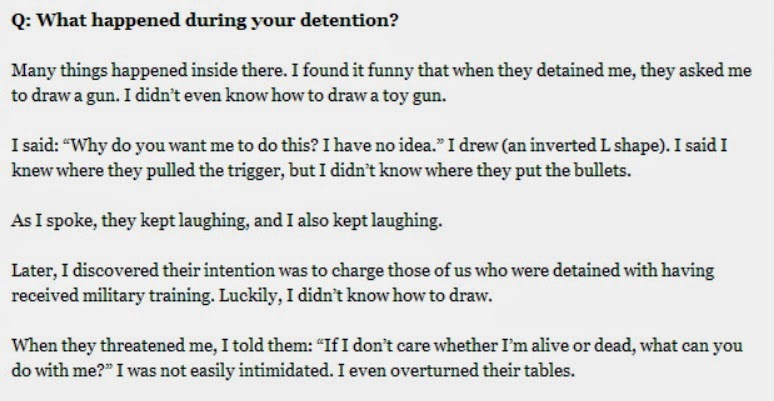 In that interview with Goh dated 3 May 2014, she said ISD was looking to detain those who had received communist military training and she was lucky that she didn't know how to draw a gun. This was despite the fact that she had met a high ranking communist cadre named Sister Fong and together they made a trip to a communist guerrilla military camp in the Malaysia-Thailand border where Goh received instructions from Fong to recruit more members and raise funds. Goh made another interesting claim during the recent ST interview. She said she "overturned" tables when she was being interviewed by ISD officers. I am not sure whether Goh meant it in the literal sense of the word, or was it figurative? Nevertheless, after this supposedly valiant act, she submissively went on national TV to "confess" her role in the communist plot and also pinpoint others who were involved. It must be day and night to go from overturning tables to appearing meekly on TV; but alas only those who were there would really know the truth. Moving to the larger picture, Goh was one of the 50 people arrested in that operation. These 50 were charged with being affiliated to a group trying to rekindle the cause of communist subversion and terrorism. The group was the Malayan National Liberation Front (MNLF), a violent splinter group of the Communist Party of Malaya. Items seized from this group include, field directives, photographs of communist guerillas training in Malaysia-Thailand border, cash, booby-trap paraphernalia, including detonators and sketches of military installations. Earlier in June 1974, another ISD operation nabbed 31 members of the same group, MNLF, and seized one pistol, 42 bullets, one hand grenade, 16 detonators, 3 homemade bombs and 5 improvised detonators. Historically speaking, there was no definitive answer to say Goh was guilty or not, because the group was arrested before they could carry out any real attacks. But, it would be injustice to history if a reader reads the ST interview at face value, without understanding the facts behind the event. Glad you blogged about this. 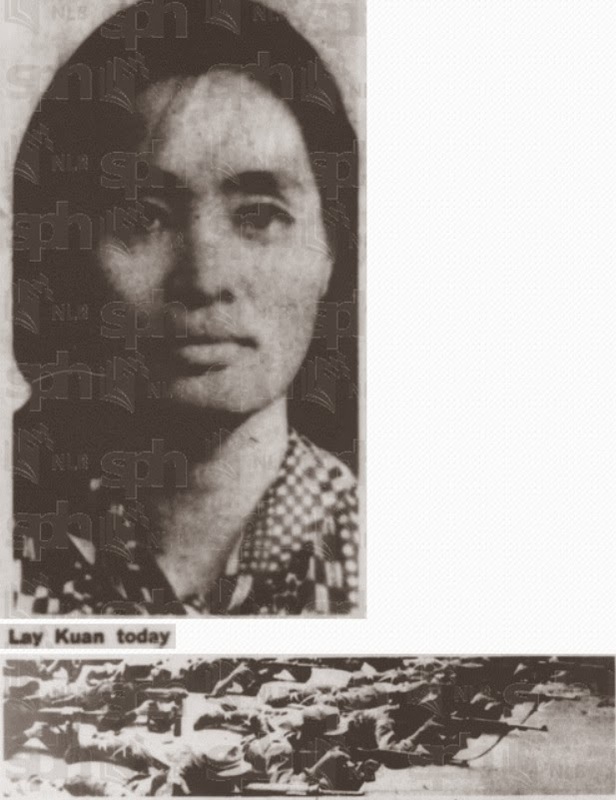 Goh and her late husband were with their communist comrades in the Malaysian jungle preparing for the violent overthrow of the Malaysian and Singapore governments through armed struggles. Why is there an attempt to white wash their evil past and re write history?